Oct 13, 2015 Thank you for your positive thoughts about OmegaXL. We enjoy hearing from our customers and learning about their OmegaXL experience. 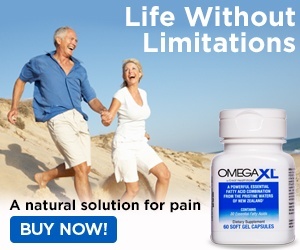 In over 30 years of research, OmegaXL has been clinically shown to help relieve joint pain due to inflammation. Please note that OmegaXL is not intended to diagnose, cure, prevent or treat any disease. Individuals should always consult with their physician or healthcare provider before taking any supplements. Review #712662 is a subjective opinion of User712662.